Make no mistake about it: Central banks need a massive overhaul, posthaste. And make no mistake about this either: It will not happen, for one simple reason. At this point in the fiscal Ponzi game, fundamental change is synonymous with fundamental pain. The sooner we address central bank misdeeds, the better off we’ll all be, but the fiat printing parade has gone on so long now, truly facing up to it means experiencing all of the delayed pain central banks have worked so endlessly to avoid. But it can’t be avoided forever. That’s what a free market is: upside and downside. Attempting to artificially print away the downside via endless stimulus is the same logic that drives someone who attempts to artificially drug away reality. “Maybe I can just keep doing this forever!” It’s never worked, not once. Reality always wins in the end. Irresponsible fantasy, chemical or fiscal, never lasts. 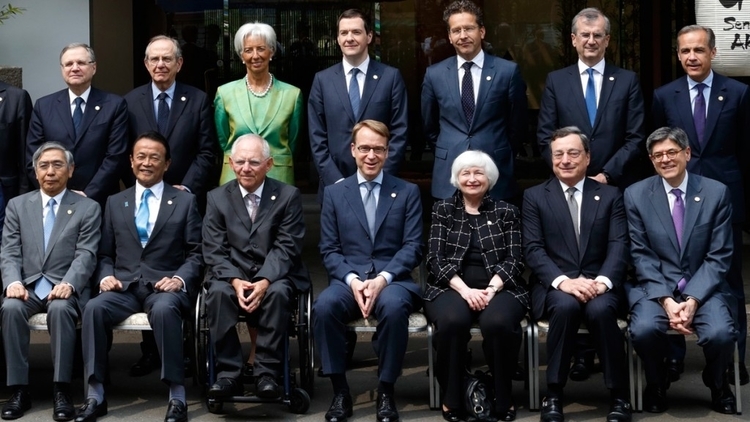 Even as central banks face important transitions, the choices of their new leaders have reflected a desire for continuity. Most obvious, Kuroda has been confirmed for another five-year term at the BOJ, and Zhou was replaced in March by his own deputy governor, Yi Gang. Even Yellen’s successor, Jerome Powell, will probably amount to more of the same. Of course, Powell was initially presented as a break from the past. After all, if President Donald Trump had wanted to remain on the same path, he would have just selected Yellen for a second term (which would have been more in line with tradition). But, in Trump’s view, the Democrat Yellen was a vestige of Barack Obama’s administration, and thus had to be replaced with a declared Republican like Powell. But both Powell and Yellen are Fed veterans, and seem to be following the same normalization path. As we enter a new era for monetary policy, we should be seeking to overhaul central-bank leadership in a more fundamental way. The lack of diversity among candidates for the top jobs suggests that the selection process is far too narrow and inward-looking. Central banks ought to be cultivating younger people, women, and minorities, in order to broaden the range of approaches, skills, perspectives, and expertise that effective monetary policymaking will require in the future.